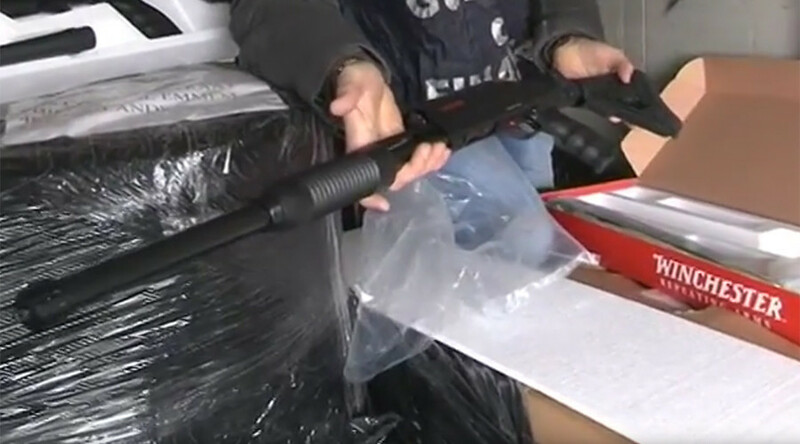 A large cargo of shotguns without transportation permits has been seized by the Italian police at the Port of Trieste. The 847 Turkish-made Winchester shotguns worth about €500,000 were on their way to Belgium. The weapons were declared along with other cargoes destined for Germany and the Netherlands on a Dutch-registered truck driven by a Turkish citizen. Gun shipments from Turkey are nothing new in Trieste, but this time the shipment was missing a key document: authorization for transportation in the EU. The shipment consisted of 847 pump-action Winchester shotguns: 781 SXP 12-51 and 66 SXP 12-47 models, La Stampa reports. Shipment of 800 guns coming from Turkey seized by Italian police. Final destination was Belgium. Posted by RT Play on 27 ноября 2015 г. Given the terror threat in Europe, the seizure in Trieste has drawn “an extremely high level of attention," said Lieutenant Colonel Gabriel Baron, commander of the Guardia di Finanza in Trieste. Following the seizure, Trieste’s public prosecutor accused the Turkish exporter of unauthorized weapons’ trading. The port in Trieste remains one of the largest gateways for European trade with Turkey. “At this time we work as closely as possible on what passes through the port, which records 250,000 cargoes annually to and from Turkey,” according to Nicola Palladino, head of Trieste’s anti-fraud office. This is not the first time European law enforcement has seized a shipment of Turkish-made weapons. In September, the Hellenic Coast Guard of Greece intercepted two sea containers loaded with some 5,000 pump-action combat shotguns and nearly 500,000 rounds of US-made 9mm ammo, on the Haddad I cargo ship off the port of Heraklion in Crete. The Haddad I departed from the Turkish port of Iskenderun and was heading to the Libyan city of Misrata. After intelligence services informed the Greek coastal guards about the ship’s cargo of guns, the vessel was intercepted south of Crete by the Open Sea Coast Patrol.